Despite having to replace two officers at the last minute due to illness Ypsilanti Commandery No. 54 had a fantastic inspection, and were happy to knight Thane Domrase of behalf of Ann Arbor Commandery No. 13. 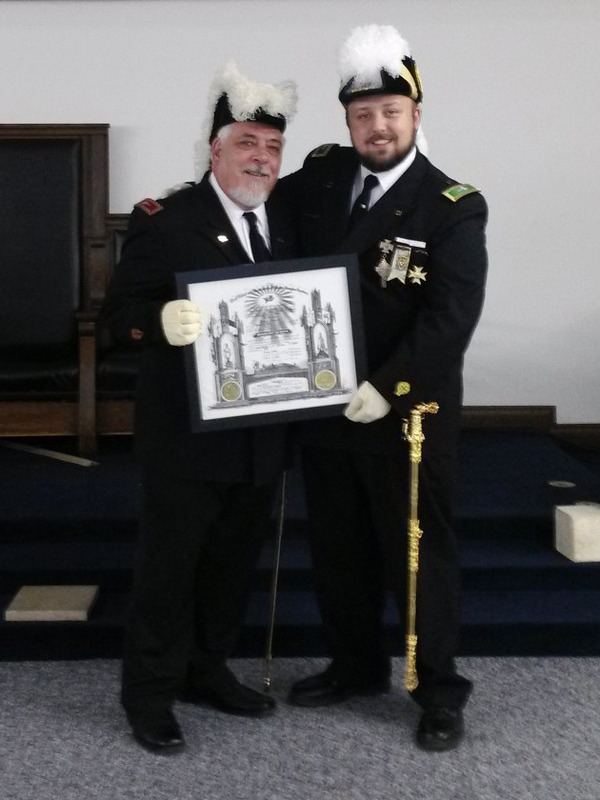 In addition we had the pleasure of making Sir Knight Gary Leach, Commander of Ypsilanti, No 54 an honorary member of Ann Arbor Commandery No. 13 in recognition of his dedication to ensuring cooperation and harmony between our commanderies.